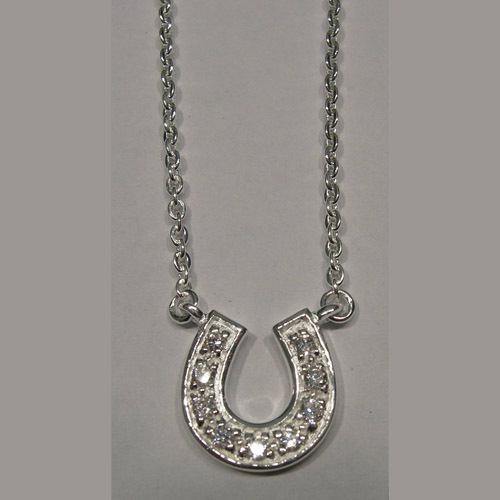 Desc: Sterling Silver Cubic Zirconia horseshoe necklace. The horseshoe has prong set Cubic Zirconia along the length and is open in the center. The chain is curb style and the clasp is a spring ring style. The necklace has a bright polish finish.